There’s a new AR Workshop in town! AR Workshop Waxhaw opened earlier this month as the 4th corporate store in Charlotte, NC for the AR Workshop franchise. North Carolina is home to 14 workshop locations! A highly successful grand opening celebration was held with crowds lined up on the street! It was the most highly anticipated grand opening yet with over 800 registered attendees. The excitement surrounding the AR Workshop experience continues to grow as more and more workshops open around the country! It’s not a surprise, because the amazing DIY possibilities offered at AR Workshop continue to grow and evolve. Workshop attendees can make the core projects the workshop was founded on–wood framed and/or wood plank signs, wood center pieces, picture frames, and lazy susans, canvas wall hangings, pillow cases, and totes, and a variety of serving trays. They can also try one of the fun, new and exciting projects continually being added to the class schedule. For instance, the wildly popular chunky knit blankets class is a newer class offering you will want to check out! 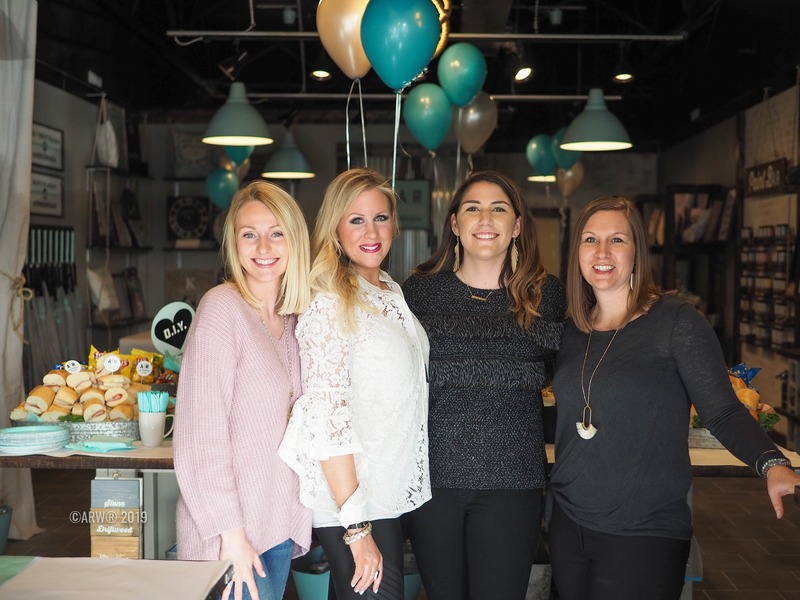 Don’t miss the photos below from the recent grand opening, and read on for details on how you can register for a class! If you’re curious about all the AR Workshop locations, or just want to learn more about the franchising opportunites, head here. 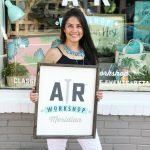 Book your first DIY class at AR Workshop Waxhaw! The class schedule is conveniently available online! You can check it out and register here. 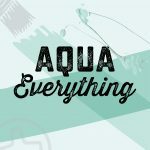 You’ll love your experience participating in a DIY workshop to create on-trend home decor from raw materials! Come enjoy a girls night out, date night, team building event, private party or birthday party! We can’t wait to welcome you and make your DIY home décor dreams come true! Wife. Mother of 4. Party planning addict. Official treat taster. Lover of Halloween. Football fanatic. Anders Ruff Guest Blogger.